So can you tell I have an obsession with making things from the cookbook Baked: New Frontiers in Baking ? You have seen me make their Sweet & Salty Brownies and their Amazing Chocolate Chip Cookies, so I figured it was time to try out their Peanut Butter Chocolate Chunk Cookies. A week or so ago, my father-in-law was sick in the hospital and when he got home we asked him if there was anything he needed and his only request was peanut butter cookies. I knew I couldn't just make any old version of the cookie, I had to bring out the big guns. And in our house, the big guns means any recipe from Baked: New Frontiers in Baking . I am sure that Justin will get mad at me if he sees that I chopped chocolate with that knife. Apparently it is not the "correct" knife for chocolate, or so I have been told. 1.) Sift the flour, baking soda, and salt into a medium bowl and set aside. 2.) In the bowl of an electric mixer fitted with the paddle attachment, beat the butter and sugar together until fluffy. Scrape down the bowl and add the eggs, one at a time, beating until each is incorporated. The mixture will look light and fluffy. Add the vanilla and peanut butter until just incorporated. 3.) Add half of the flour mixture and mix for 15 seconds. Add the remaining flour mixture and mix until just incorporated. Do not over mix. 4.) Fold in the chocolate by hand. 5.) Preheat oven to 375 degrees. I lined my baking sheets with parchment paper. 6.) Drop the dough by rounded tablespoon onto the baking sheet, at least 2 inches apart. I flattened out each cookie a little with my hand and then sprinkled the tops of the cookies with granulated sugar. 7.) Bake for 10-12 minutes, rotating the pan halfway through the baking time, until the tops of the cookies just begin to brown. Remove the pan from the oven and cool on a wire rack for 5 minutes. Oh yum! You know how much I love me some PB&C. These are beautiful! I'm definitely making these this weekend! They look so delicious! My mouth is watering just looking at these! 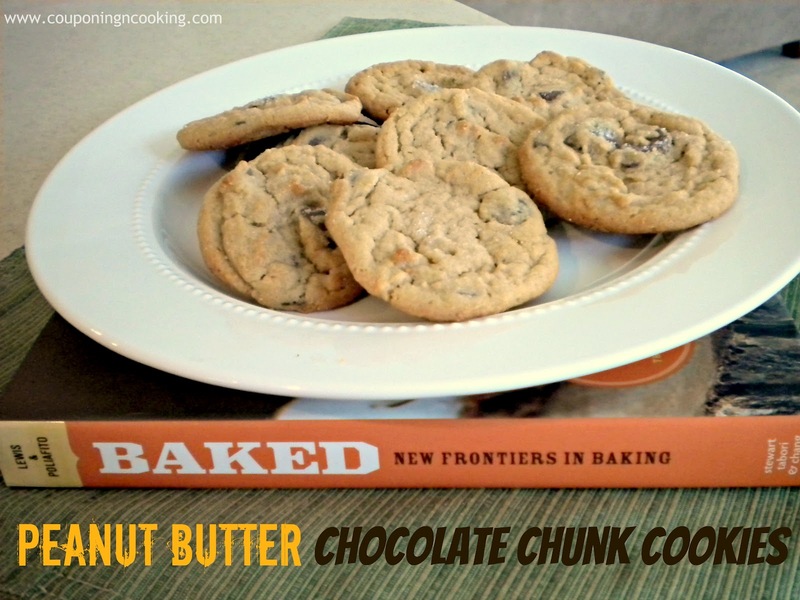 These are on my list of to-make recipes! Thank you for sharing. Those look so delicious, one of my fave combos. I hope you don't get in trouble for using the wrong knife and that your FIL loved them! I must have some!!! I'll take 2 dozens please! These look super delicious! 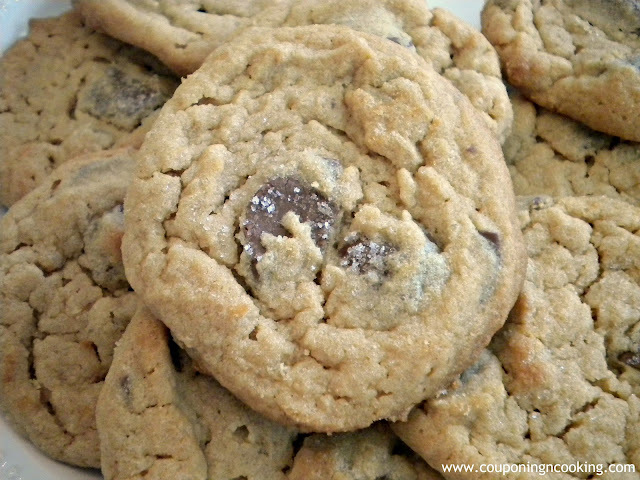 I love PB chocolate chip cookies and I've been using milk chocolate for years. 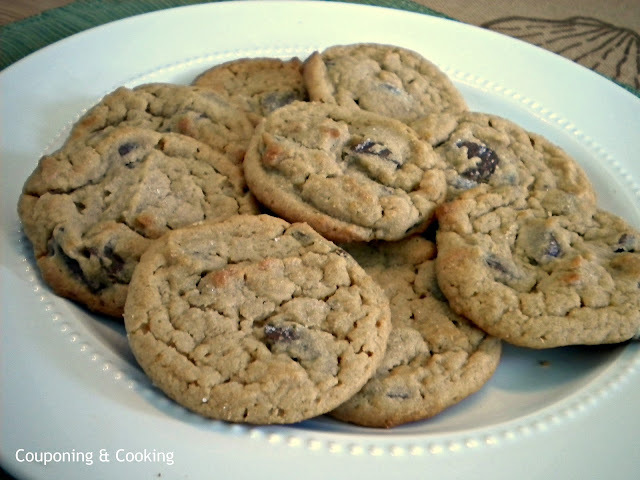 I don't care for the taste of semi-sweet so even if a recipe calls for semi I use milk :) Thanks so much for linking up to Creative Thursday this week. I can't wait to see what you link up next. Have a great weekend. 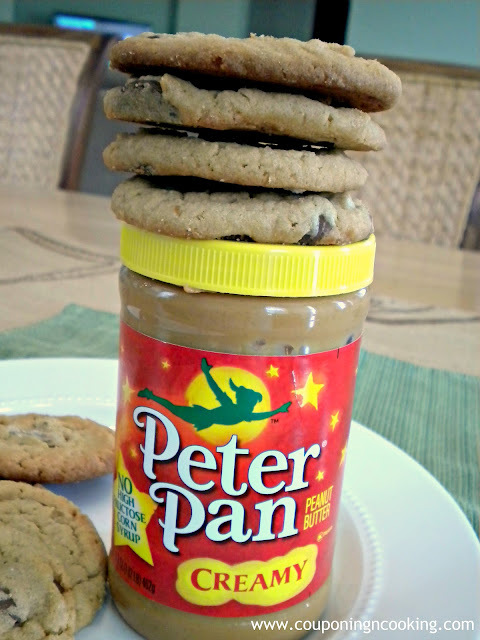 These are great cookies and your recipe looks awesome! Hope you have a great week end and thank you so much for sharing with Full Plate Thursday. Kaylee, This looks like such a delicious recipe. Chocolate and peanut butter... the perfect combination! Thanks for the great tip about using milk chocolate with peanut butter! Please join me at StoneGable for ON THE MENU MONDAY, my weekly foodie/recipe/menu linky party. Linky goes live Sunday evening at 8:00. Your yummy recipe would be a welcomed addition!!! These looks so yummy! Thanks for sharing the recipe! 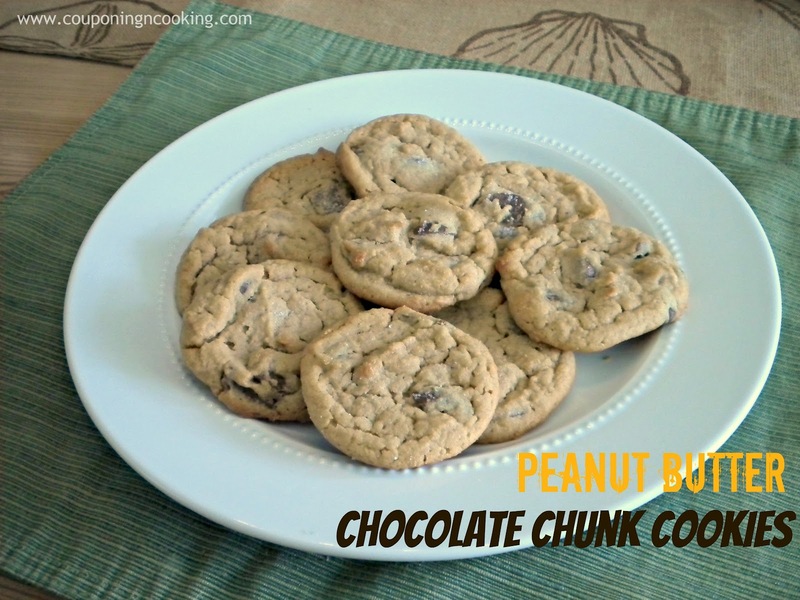 These do look yummy and delish, chocolate and peanut butter what could be better than that combination! Great tip about using the semisweet chips with the cookies. Looks so yummy! So glad you shared your creative inspiration with Sunday's Best! My gosh, these look delicious! Visiting from the Creative Corner hop. Peanut butter and chocolate just gets me every single time!!! Your cookies look amazing!!! I've nothing but great reviews about Baked--looks like I better head over to Amazon and do a little shopping. While I'm waiting for the book to arrive I'll make these good looking cookies. Nothing better than chocolate and PB! The cookies look great! I would love to invite you to share this on Saturday Show and Tell: (www.cheeriosandlattes.com/saturday-show-tell-20/). I know that my readers would appreciate this and some of your other posts. Thanks and have a great weekend. You just can't beat peanut butter and chocolate! Thanks so much for joining the Christmas cookie link up!